Second cup must be of equal or lesser value. Good at participating locations. With coupon only. Coupons may not be combined with any other offer. Not valid with any other coupon. Not valid with any other offer. Coupon void if altered. Expires 05/04/2019. ($5 Max Savings) Good at participating locations. With coupon only. Coupons may not be combined with any other offer. Not valid with any other coupon. Not valid with any other offer. Coupon void if altered. Expires 05/04/2019. Good at participating locations. With coupon only. Coupons may not be combined with any other offer. Not valid with any other coupon. Not valid with any other offer. Coupon void if altered. Expires 05/04/2019. 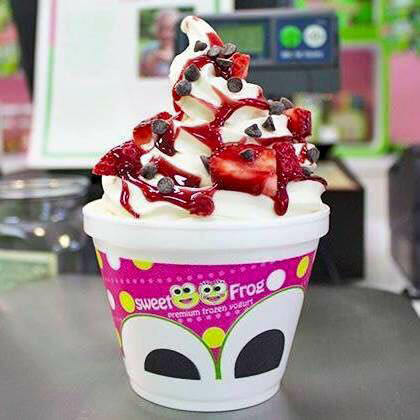 Sweet Frog is a self-serve frozen yogurt shop with 16+ awesome flavors and 50+ candy and fresh fruit toppings all in a fun, family atmosphere. Being in Hagerstown's first self-serve frozen yogurt shop, they can't wait to serve you up an awesome experience! Grab a cup, fill it up, and weigh it up! They are located on Garland Groh Blvd. in the Best Buy plaza. Flavors are always changing, so give them a call if you are curious about "Today's" flavors! Also, ask about their weekly specials! Non-Fat, Low Fat, Supreme, No Sugar Added, Sorbet, Non-Dairy. We offer over 16+ flavors that are sure to satisfy your frozen yogurt craving! Stop in and see what flavors we have today! 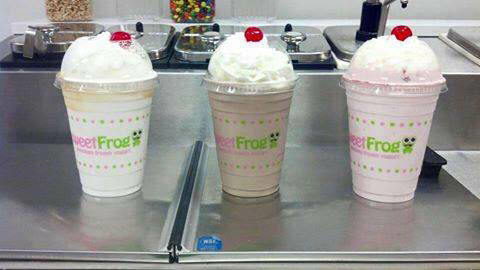 We now also offer milkshakes!. -More The Merrier Monday- 20% off 3 cups or more!, -T-Shirt Tuesday- Where your sweet frog apparel for 25% off!, -No Weigh Wednesday- $4.00 Flat Rate for 12oz. 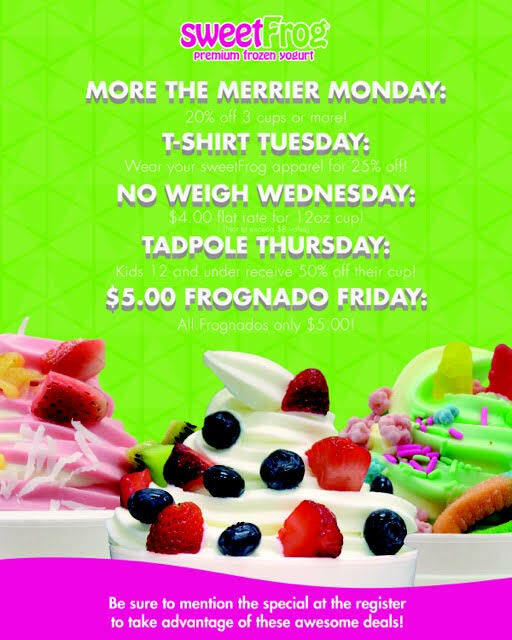 Cup!, -Tadpole Thursday- Kids 12 & under receive 50% off their cup!, -$5.00 Frognado Friday- All Frognados only $5.00!.